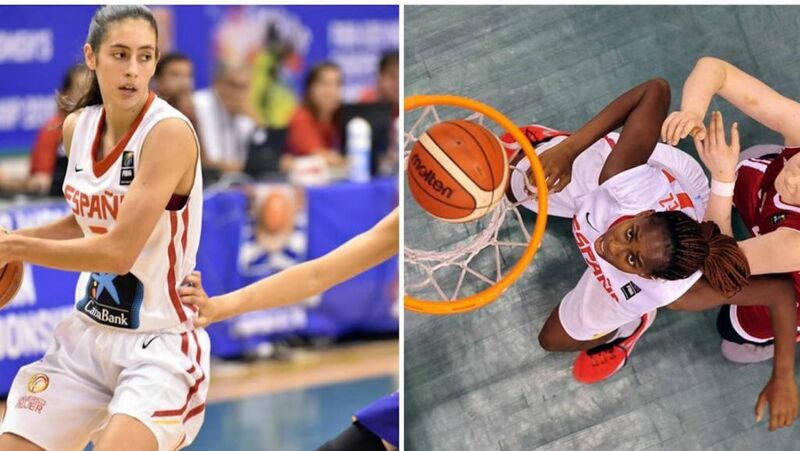 TALLAHASSEE, Fla. (Seminoles.com)– One year after current guard Leticia Romero led Spain to a FIBA U20 European title, teammates Maria Conde (Madrid, Spain) and Iho Lopez (Blanes, Spain) have accomplished the same goal for their home country. On Sunday afternoon, Spain defeated Italy 71-69 in a thrilling championship contest at the FIBA U20 European Championship game in Matosinhos, Portugal. Conde tied for the team lead with 20 points and added eight rebounds in a team-leading 36 minutes, 19 seconds of action. Lopez contributed with a team-high nine rebounds along with five points in nearly 19 minutes of play. Florida State Women’s Basketball has left its imprint on the last three FIBA U20 European Tournaments for Spain. In 2014 Romero made the all-tournament team after ranking in the Top 10 among all players in average assists (4.7), steals (1.9) and field goals made (5.2). She would lead Spain to a gold medal in 2015 while earning tournament MVP honors. Spain has now won the tournament in five of the last six years. The lone silver-medal finish came in 2014 when France won the gold medal. Conde scored in double figures in each of her last five games, averaging 12 points along with 5.9 rebounds and 2.4 assists for Spain. Her two highest-scoring efforts came in the championship game as well as the semifinal against Russia when she totaled 17 points in a 77-61 win. Conde, who played in 33 games with FSU as a freshman, shot 90.9 percent (20-of-22) from the free throw line in the tournament. She also added 15 total steals. Her playing experience at a quality level could adequately prepare her for a second year with FSU where she grew in all areas, especially defensively. Lopez averaged 3.3 points and 4.9 boards to contribute to Spain’s tournament title. The 19-year old IMG Academy product gave significant minutes off the bench, totaling eight boards vs. Russia followed by nine against Italy in the championship. Lopez, who is 6-foot-2, is expected to benefit FSU with her immense length and versatility which has become very identifiable in international players. She is part of a star-studded 2016 signing class that is ranked fourth overall by ESPNW, the highest in program history. Romero and FSU alumna Leonor Rodriguez (2009-13) will be competing for Spain as part of the country’s Olympic Team in Rio de Janeiro, Brazil. Both players will make their Olympic debut on Sunday, Aug. 7, vs. Serbia at 1:15 p.m. ET.